Summary: Corruption is the number one problem for Bangladesh. Transparency International in its annual report placed Bangladesh at the top of the list of most corrupt nations in the world. Certainly, it makes the politicians in Bangladesh, especially those in power, extremely uncomfortable and worried. It is apprehended that in the coming report of Transparency International, Bangladesh is going to be placed once again at the top. Although the ruling alliance in the country are making frantic bids in cleansing the image of Bangladesh, it is well understood that, international community are yet to be convinced to the fact that, Begum Khaleda Zia’s government is doing something in eliminating corruption from different section in the country. Only recently, an intelligence agency in the country identified 11 mid ranking officials with National Board of Revenue, who own 15 luxurious villas in countries port city of Chittagong, which costs US$ 2.5 million. It is important to mention here that, monthly salary of these officials is less than US$ 400 per month! Police and Customs (revenue) are the most corrupt departments in Bangladesh. Almost all the officers, on their retirement, emerge as multi-millionaire. They acquire wealth and properties in their own name of in the names of their spouses. It is almost an open secret in the country. Government also knows these facts, but is unable to take any action. 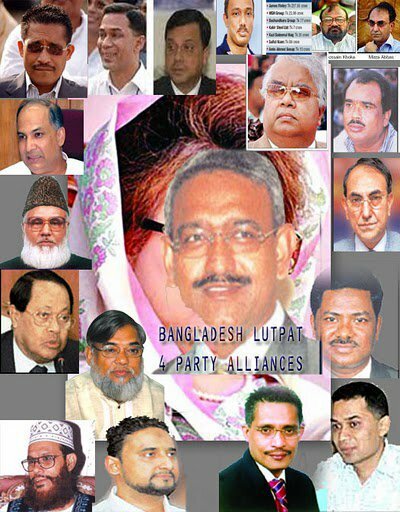 In recent days, names of some of the members of the BNP’s cabinet in Bangladesh come as the worst corrupts. They minted money like wild gambling. Sixty members of parliament rose complaint against a particular minister, while the Prime Minister Khaleda Zia did not take any action against him. It is also learnt that, many of the family members of Prime Minister Begum Khaleda Zia are becoming fabulously rich, by using state power. The most talked about corrupt figure in Bangladesh is Tareq Rahman, eldest son of the Prime Minister. 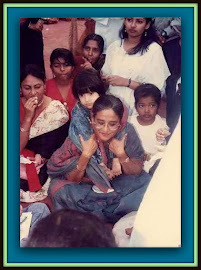 TAREQ BECAME BILLIONAIRE JUST IN FEW YEARS, WHILE MANY OF HIS FRIENDS, WHO WERE PARTNERS IN HOMOSEXUAL ACTIVITIES OR IN THE ADDICTION OF PHENSIDYL ALSO BECAME VERY RICH UNDER THE DIRECT PATRONIZATION OF THE SON OF PM BEGUM KHALEDA ZIA. Tareq has established Hawa Bhaban, which is although considered as one of the offices of the ruling party. There are solid evidences of this office’s involvement in interfering in almost all the business and contracts in the country. Hawa Bhaban palls are considered as the most influential figures in Bangladesh. One of the Hawa Bhaban palls is Giasuddin Mamun, who is tareq’s closest friend too. Hailing from an extreme poor family in the southern part of Bangladesh, Mamun is today one of the richest men in Bangladesh through various corruption, smuggling and many other forms of illegal activities. Surprisingly one of the assistant press secretaries of Prime Minister Khaleda Zia, Touhidul Islam alias Ashik Islam is simultaneously working in the PMO as well in Hawa Bhaban as its spokesman. Moreover, this man is also involved with Tareq’s private television channel, Channel One. There are numerous allegations on Ashik’s involvement in a number of financial irregularities as well of misappropriating state money with various excuses, government did not take any action against this man, as he is considered to be one of the closest aides of Tareq Rahman. In the PMO too, Ashik is known as an womanizer, alcoholic, bribe taker and blackmailer. Prime Minister Khaleda Zia was notified several times about this man’s illegal activities by country’s intelligence agencies. But, she could not take any action against Ashik, as Tareq always stood behind him with fullest support. Khaleda’a own brother, Sayeed Iskander, who is a sacked major of Bangladesh army, also turned into multi-millionaire by using the influence of his sister. Sayeed runs a company named dandy Dying, which is a mere camouflage of his other activities. Behind the mask of Dandy Dying, Sayeed is involved in minting fabulous amount of cash through kick backs or other means; as well he is virtually active as the unseen defense advisor to the Prime Minister. No posting or promotion in the army is possible without his blessings or recommendations. Sayeed Iskander placed a number of his course-mates and even some of his close relatives in the sensitive and important positions in Bangladesh Army. 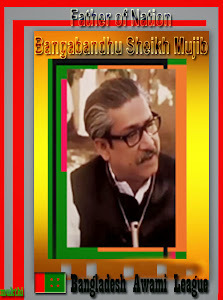 A man with high political ambition, Sayeed is known to be one of the key conspirators in seizing power from Khaleda by using his grip in the armed forces. His ultimate goal is to become the future Prime Minister of Bangladesh. Khaleda’s late husband President Ziaur Rahman sacked Sayeed Iskander from Bangladesh Army for his alleged involvement in a number of corruption charges. Zia was one of the few honest figures in Bangladesh politics, who did not allow any of the members of his family to make money using state power. Not only that, Ziaur Rahman was the man, who did not interfere when both of his sons were ousted from St. Joseph School, which is considered one of the most prestigious schools in Dhaka. Zia’s sons were to leave this school because they turned to be duffers and extremely inattentive to their education. 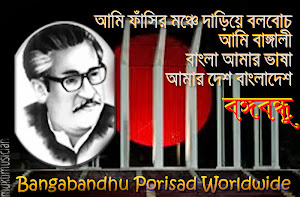 Tareq and his brother requested their daddy to readmit them in St. Joseph, when angry Ziaur Rahman said, “I am not in power to support inattentive sons of mine”. Finance Minister M. Saifur Rahman is although considered to be a clean man, his sons are engaged in minting money by using the influence of their father. His sons are involved in several businesses like multi-level marketing (a company, which just disappeared after taking a few million dollars from the innocent people), customs clearing and forwarding business (this company is handling most of the big businesses in the country, just because, finance minister’s sons are partners in the business), readymade garments (smuggling of narcotics are done under the cover of this business) etc.